Dr. Salerno is a graduate of Riverside High School and John Carroll University. He was the Founder and President of the Pre-Dental Society at John Carroll University. 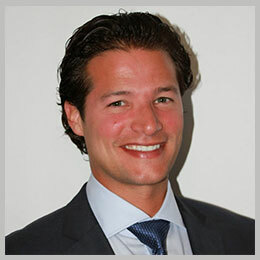 In 2002, Dr. Salerno graduated from Case Western Reserve School of Dentistry. He completed his post graduate internship at the Cleveland Veterans Hospital. During this time, he rotated though otolaryngology, oral and maxillofacial surgery, general practice dentistry, emergency medicine and anesthesia. Dr. Salerno has over 500 plus hours of continuing education in all areas of dentistry, including surgical and restorative implant training, 3d CBCT imagining and CEREC same day restorations. Dr Salerno has also completed dental implant surgical courses at the Naval Hospital in Bethesda, Maryland. Dr. Salerno is committed to the community through his involvement in local charities and clubs. He is also a board member of NEOPAT, Ohio's largest military charity that provides financial assistance to military families in Northeast Ohio. Click here to view a NEOPAT video presentation. He is also a member of the ADA and ODA CDS and NEODS. Dr. Kenneth Salerno is a graduate of Ignatius High School, Xavier University, and Case Western Reserve School of Dentistry. After graduating from CWRU, Dr. Salerno enlisted in the Army and practiced dentistry at Fort Jackson in Columbia, South Carolina. Captain Salerno was part of the support unit for the 82nd airborne group and was also awarded the ARCOM medal. 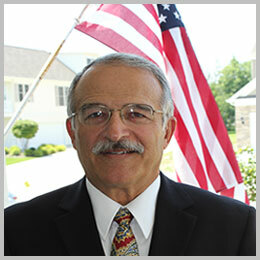 After 39 years in private practice, Dr. Salerno joined his son in Chardon.